For-Minecraft.com » Minecraft PE 0.17.0 » MCPE 0.17.0 - New mobs and more! 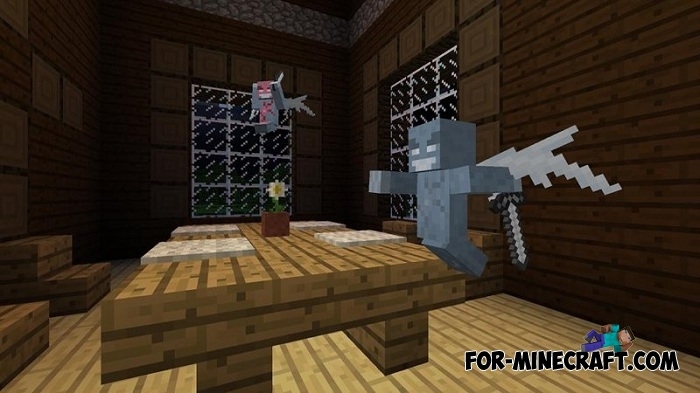 During Minecon developers talked about the really cool innovations of Minecraft PC version. This will add a unique new mobs, new structure with treasure, and new items. And of course, all of this will be added in a future version - Minecraft PE 0.17.0! The new mob is a llama. They can be tamed like horses, and they will protect you (they are hostile to the wolves, it is very useful for farms). 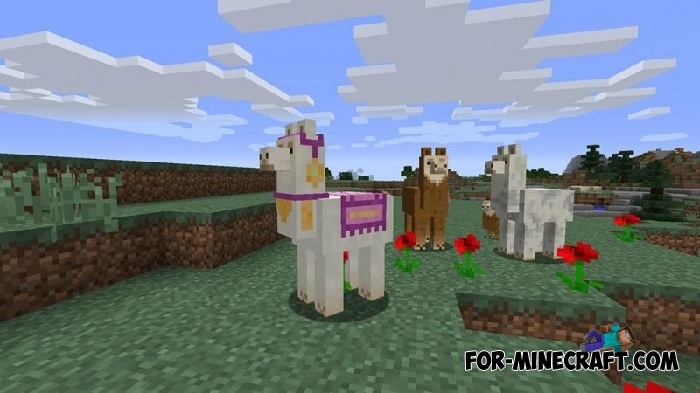 Llamas can attack by a spitting, and if you have tamed a few llamas, they will create a caravan. You will receive a wonderful way to move items if llamas can be equipped with chests. Woodland Mansion is a new structure, which is generated in a dark forest. Vindicators and Evokers can inhabit in this house. The first mob is more like some kind of maniac and the other mob can spawn little harmful monsters and emits jaws ring from the ground. It is not so easy to combat these mobs, so prepare yourself for a good fight before visiting the mansion. There will also be added to a variety of interesting changes that it makes no sense to talk right now. We just want to tell you the main thing that you will find in future Minecraft Pocket Edition 0.17. It's not all the changes, the other details will be later! I can't wait for llamas ????? ?